It's not too hard to please country music fans. Let them relax to the genre on a warm summer day with cold drinks in a rural setting, and - in most cases - they won't complain. This falls in line with the 2019 Country Megaticket lineup, which changes only modestly each year; few risks are taken in determining the lineup, as Live Nation can be confident that the big names will draw big crowds. Five shows are on the docket for 2019 after just four were included last summer. 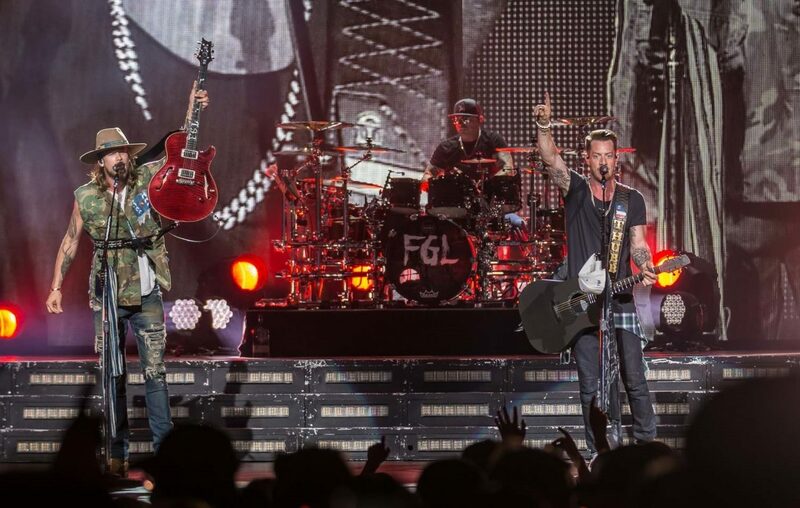 For 2019, the slate at Darien Lake Amphitheatre (9993 Allegheny Road, Darien) is headlined by Florida Georgia Line and Dierks Bentley, with Rascal Flatts closing out the concert quintet of all-male headliners. The full lineup is below, with some rising openers, such as Dan + Shay and Jon Pardi. Ticket packages that cover all five shows will go on sale at 10 a.m. Feb. 1, ranging from $165 for the lawn package, $450 for the silver package (300 tier seating) and $650 for the gold package (100 or 200 tier seating with a premier parking pass). These may be purchased at megaticket.com. Package deals are available only until May 10; individual tickets may be purchased at later dates. This is the first time in the last five years that neither Jason Aldean nor Luke Bryan have appeared on the ticket. May 24: Chris Young with Chris Janson and more. July 19: Thomas Rhett with Dustin Lynch, Russell Dickerson and Rhett Akins. Aug. 1: Dierks Bentley with Jon Pardi and Tenille Townes. Aug. 24: Florida Georgia Line with Dan + Shay, Morgan Wallen and Canaan Smith. Sept. 13: Rascal Flatts with special guests to be announced. As with all Darien Lake shows, each ticket includes free admission to the amusement park on the day of the show. - Megaticket lineups for 2018, 2017 and 2016. - Smiles at Luke Bryan's Megaticket show from last year.